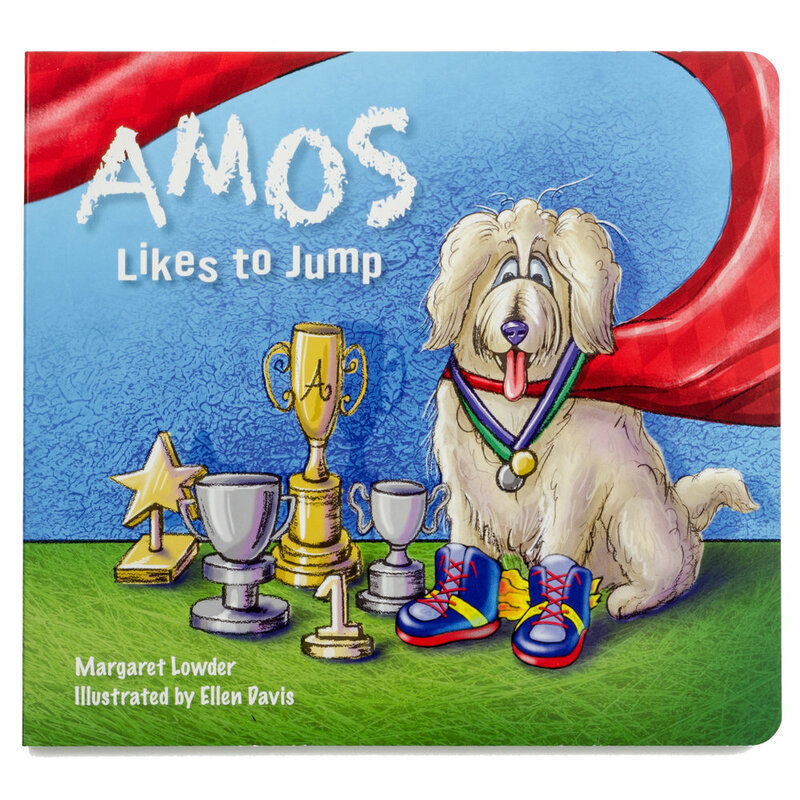 Amos Likes To Jump teaches young ones the value of individuality, and why being "you" is the best way to be. The story, created by author Margaret Lowder, is heart-warming and fun. The illustrations, by Ellen Davis, are bright and energetic - just like Amos himself! This quality board book is substantial in size, and durable enough for children of all ages. Be the first to know about insider-only deals, book signings, and more! 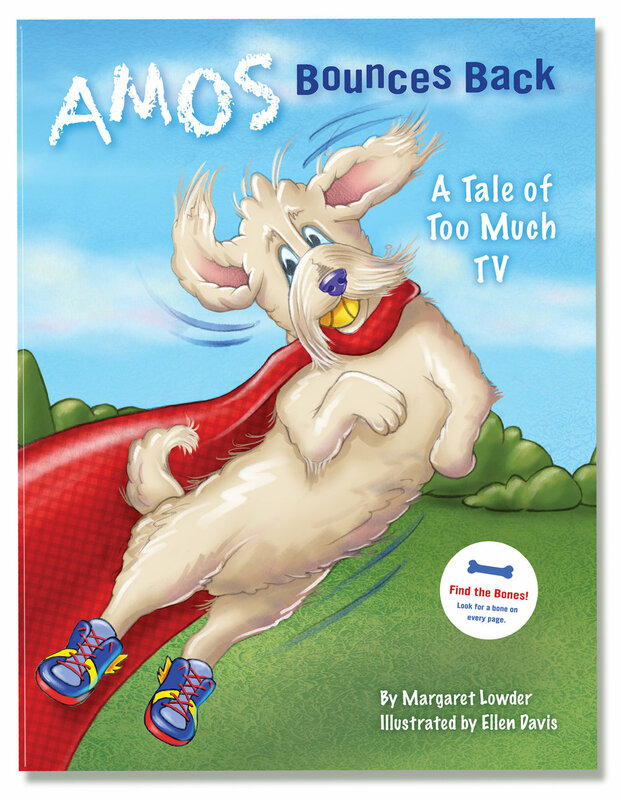 Amos returns with a bang in his second book when he hears another dog on TV. He is whisked into the captivating world of shows, until his friends remind him of the fun he's missing out on in the great outdoors. Come along with Amos as he explores the world! NEW in this book: Look for a hidden bone on every page! Amos the Dog Plush Toy is the perfect cuddly companion for young children. 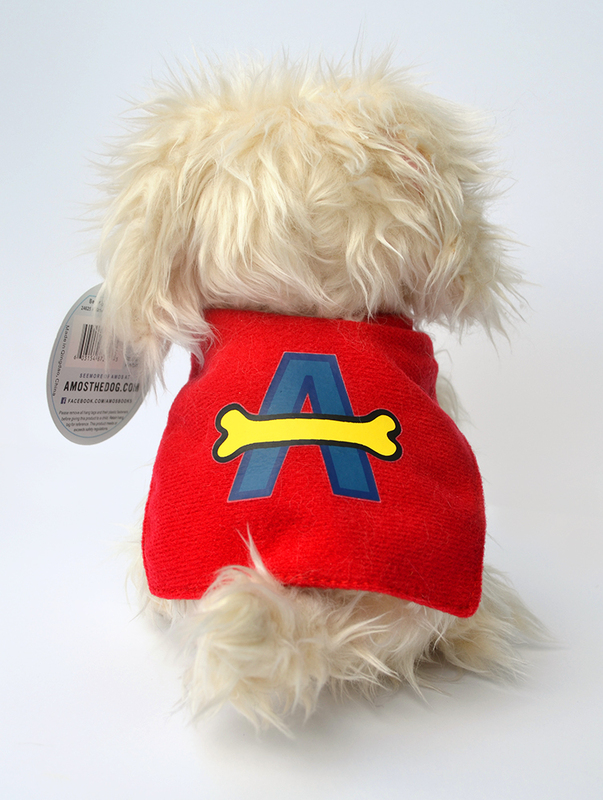 Fans of the Amos Likes to Jump Board Book will love snuggling with their very own super dog, complete with a detachable red cape! Bright, challenging, & fun! Ages 3+ will love piecing together Amos the Dog. Our puzzle pieces are sturdy and extremely well made. Pieces come packaged in a sturdy box. It is the perfect gift alone or combined with any of our other Amos books or plush toy dog! Details: 24-Piece sturdy puzzle. Sized 14 x 20 inches. Children can join in the fun with Amos in this Coloring & Activity Book based off the beloved Amos Likes To Jump board book. Activities include mazes, matching, numbers and letters, tic-tac-toe, free-hand drawing and more - all with an Amos The Dog theme! All content is the property of The Amos Book Co LLC. Copyright 2019. All rights reserved. Our products are also available on Etsy! Click Here.